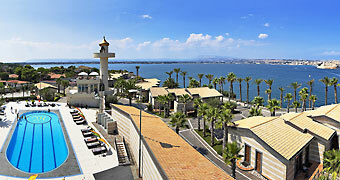 In the enchanting Baia delle Sirene, overlooking a dazzling, emerald blue sea. 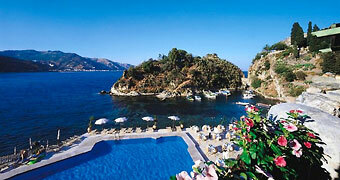 The Grand Hotel Mazzarò Sea Palace at Taormina Mare is set between two rocky outcrops in one of the most beautiful bays of the Mediterranean sea. 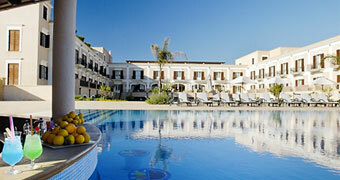 Five star luxury in the heart of the Sicilian countryside, just moments away from the sea. At the Metropole Maison d'Hôtes the contemporary appeal of a design hotel combines with the ancient history of Taormina and spectacular views of the Sicilian sea.